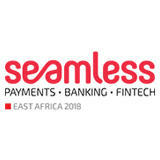 Seamless East Africa provides the attendees with the opportunity to get their brand in front of over 800 banks, government and fintech companies across the payment industry, create and reinforce leadership in these markets, meet and partner with the best banks, government and fintech companies in the region, and much more. Well organised event. Good forum to learn and network. IT WAS TIMELY,,ALOT MORE NEED TO BE DONE.